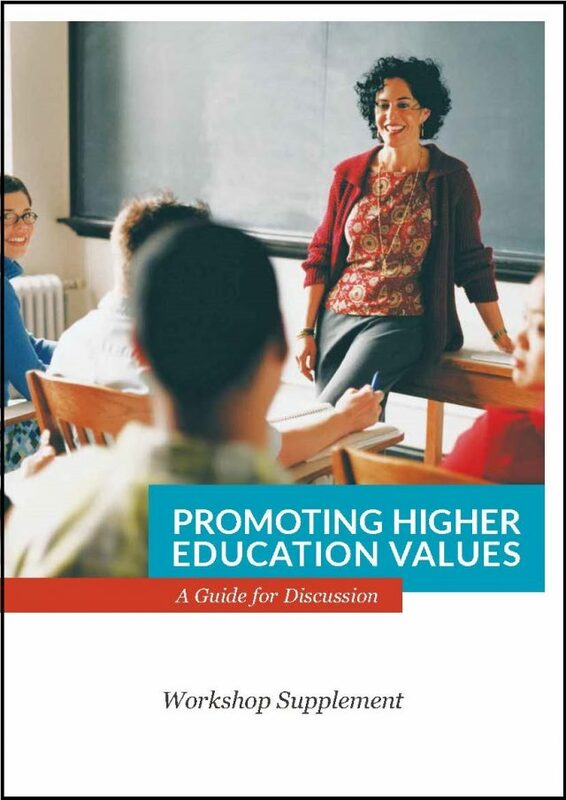 piece to the separate publication, Promoting Higher Education Values: A Guide for Discussion. The Guide is intended to frame and facilitate discussion about higher education values and their implementation in a wide range of settings. implicated by discussion of core higher education values can be varied and complex, workshops or other group discussions are excellent ways to identify questions or disagreements and to build deeper understanding. This is especially the case when discussions are framed around concrete examples based on real life situations. This Workshop Supplement is intended to assist organizers and facilitators of such discussions. The Supplement includes advice for facilitators presenting each of the four content units in the Guide. It also includes exercises, questions for discussion, suggested charts and diagrams to increase opportunities for discussion and understanding.